Joyce Kornblatt is one of our most insightful reviewers, writers and teachers of writing. 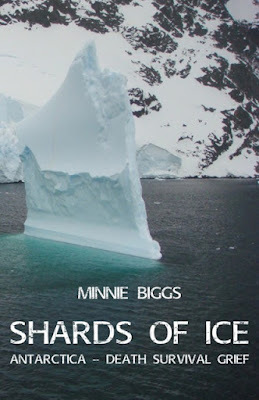 Here she shares particularly personal thoughts about a quite beautiful new book: Minnie Biggs' Shards of Ice. The themes are of profound interest: a long marriage, the loss of a beloved partner, "travel", inside and out - and deeply personal journal writing. As a delightful implicit bonus, Joyce also gives us a number of "kindred volumes". You are welcome to leave your comments below. They will certainly be passed to Joyce, and to this wonderfully talented new memoirist, Minnie Biggs. 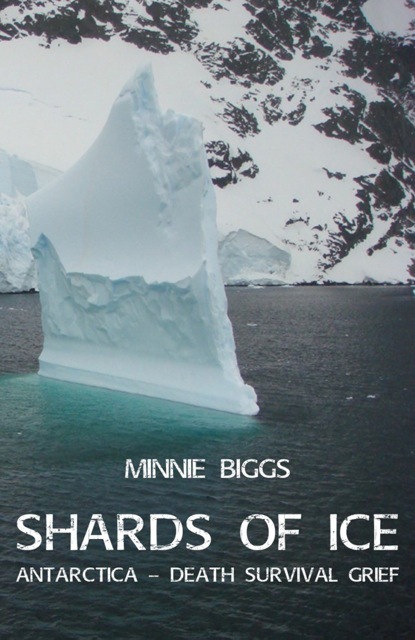 In a book of luminous, faceted and memorable fragments, Minnie Biggs embodies on the page the ice formations she discovers in Antarctica and in the Red Centre of Australia, voyages she makes following the death of Stephen, her architect husband of 47 years. A memoir of grief, travel, history, geology and the restorative act of writing itself, SHARDS (Ginninderra Press, 2015) takes us deep into the interior of a woman in her 70s who is our exceptional guide and becomes, by book’s end, our intimate friend. When Minnie realized she could let go of a linear narrative structure, and allow her book to accrue in the way that geological formations and human lives do—layered, irregular, buffeted by weather, healed by rain and sun, formed as much by surprise and disaster as by any sort of conscious plan-- SHARDS found its form. Each vignette has its own integrity, and the ordering feels inevitable and true. We move through a mosaic of scenes: marriage; caregiving; grief; a ship’s voyage to the icy end of the Earth: the stories of Antarctic’s first brave explorers ; a pilgrimage to the Australian desert; kitchen and garden in Kurrojong. 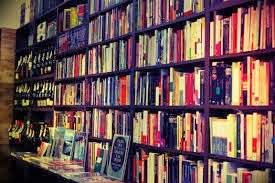 Only a few books I know are able to meld, as Minnie Kent Biggs does, the personal with the geographic, the private with the impersonal. SHARDS will remind you of Robyn Davidson’s TRACKS, Annie Dillard’s PILGRIM AT TINKER CREEK, Terry Tempest Williams’s REFUGE, Barry Lopez’s ARCTIC DREAMS. And there are also the recent works on widowhood—Joan Didion’s A YEAR OF MAGICAL THINKING and Marion Coutts’s THE ICEBERG as memorable examples. Aside from Didion’s book, about which she writes, I don’t know how many of these Minnie has read. She has always been a prolific reader and likely has her own list of kindred volumes. She followed her own thread and trusted her own voice. Is anything larger than death and dying, larger than life itself? The living presence of Antarctica? On the human scale many people described Stephen as larger than life. In his soft mumbling way, he was. His points were made quietly, socratically. His conquests- men as well as many women- fell silently. His houses rose timber by brick by stone, orderly. The spaces he created, serene. The food and wine he consumed were prodigious. The air and sea miles he accumulated, before they were frequent flyer points, innumerable. The words he wrote, the fewest. The limericks he quoted, biblical. The variety of swear words he could get way with were unnoticed even by the prudish. The inspiration he spread immeasurable. 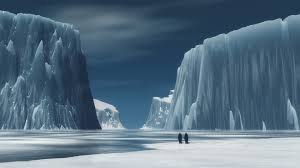 Even as his body rots and the pine box starts its disintegration into the earth, even as Mr Henry carves the headstone of granite, even as we remember him with smiles and love, the Ross ice shelf mutters and groans. Ice breaks off, ice re-forms, ice recedes, ice expands. The winds blow, the snow flies, the penguins hover over their eggs, the snow petrel wings over. The smooth red sandstone cliffs, long vertical walls slicing into an angle, another geometry. Only the yellowy olive green of the vegetation above and below differentiates these shapes from an Antarctic ice shelf, glacier, berg. Gosses Bluff—Tnorala--is a tabular berg floating on the central Australian desert. Rising up from the flat, a straight sided monolith- it actually forms a circle- with a couple of vertical extrusions. A piece of landscape that connects these two places in my heart: red and white. Neither place really flat like deserts. Stephen also had that imperviousness to cold, or weather in general. I would urge him to take off his woolly as the day got warmer, or put on a jacket when the temperature dropped, but he would not be bothered. He simply did not feel it. Why, when I was shivering or sweating? A sort of inner discipline, long trained by strict upbringing, the Naval College and RAAF. He could cook, he could darn, sew and mend shoes with the best of them : strong skills of all explorers. He could go without food, and not worry. Much as he loved food, as the explorers did. Can you see what a pleasure it would have been to receive batches of pages from this beautiful book, as it was written? I would add that Minnie Kent Biggs is an explorer herself: skilled, courageous, disciplined and at home in the wild, whether that be found in the ice or the desert or the regions of loss or a writer’s unknown territory-in-the-making. It’s a privilege and a joy to have the opportunity, here, to introduce SHARDS into the world out of which it has arisen. Shards of Ice is available from Amazon, Book Depository and other online sellers in both print and ebook editions. JOYCE KORNBLATT is a novelist, short-story writer and essayist. For twenty years, she was Professor of Creative Writing and Literature at the University of Maryland in the U.S. Since moving to Australia, in 2003, she has been offering private writing workshops and mentoring (www.joycekornblatt.net). 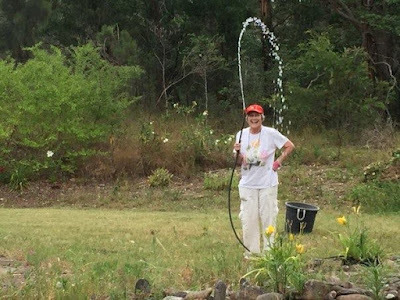 She is also a trained Hakomi psychotherapist and the founding teacher of Cloud Refuge, a Buddhist meditation community in the Blue Mountains, where she lives. (www.cloudrefuge.org). MINNIE BIGGS wrote her first book at thirteen and has been writing ever since. 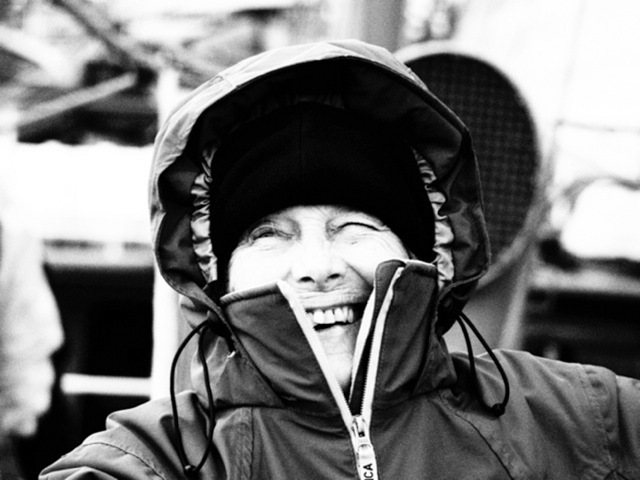 Her marriage of 46 years ended with her husband's death and her widowhood began with the first of her journeys to Antarctica. Minnie was a founding participant and teacher at the International School of Spiritual Reading and Healing in Portugal. Born in New York, she now lives in Kurrajong, NSW. You can find her on Facebook as Minnie.Biggs. The Universal Heart Book Club is hosted by Stephanie Dowrick and Walter Mason. This is where we can introduce you to books, writers and sustaining ideas. You will find past articles and videos via the "Blog archive" on the right. You can also pick up further reading ideas from the rotating links at the bottom of each article. 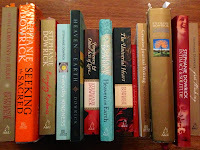 The Universal Heart Book Club has grown out of the Universal Heart Network, founded in 2000 by writer and retreat leader Stephanie Dowrick. We welcome any links via your own websites or social media. This is a community Book Club, supporting writers and readers. And, most of all, supporting ideas that heal our hearts and sustain us. 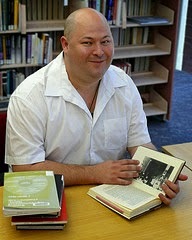 Do visit writer, social media commentator and Book Club co-host Walter Mason's richly varied BLOG. Click on the image to take you there. Click on image for mail order purchases of "Heavenly" serenity, calm and delight.Can be used for meditation or enriching listening.CD offers 69 minutes of sublime words spoken by Stephanie Dowrick and gorgeous music from Kim Cunio and his ensemble. You can purchase tracks from this site...and will gradually discover a new world of sacred music hosted by Kim Cunio. Click on the image to visit this site and download tracks. Find archived video reviews recorded to date by Stephanie Dowrick & Walter Mason via this link. Simply click on the photo. Free postage in Australia. Click on image to buy your books on-line HERE through QBD - the on-line booksellers supporting Australian writers and supplying good books from around the world. All sales benefit the Universal Heart Book Club. Dr Stephanie Dowrick leads regular monthly spiritually inclusive services, 3rd Sunday of each month, 3pm, at Pitt Street (264) Uniting Church, Sydney (NOT January). Exquisite music. Uplifting teachings. All welcome. Click on photo above to visit Stephanie Dowrick's lively website and blog for latest Universal Heart Network newsletters, articles, videos. 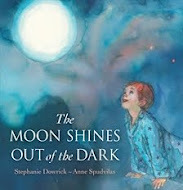 Free postage for Stephanie Dowrick's beautiful book for children, available NOW, xquisitely illustrated by Anne Spudvilas, Stephanie Dowrick's first picture book for many years. Copyright 2012 Universal Book Club - All Rights Reserved. Powered by Blogger.